Mix the dry ingredients, then the wet, then combine together. Cook pancakes on a skillet in avocado or coconut oil. 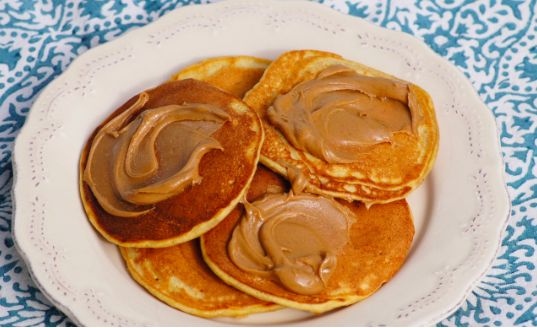 Pancakes freeze well for later, especially if they are frozen flat on a cooking sheet first and then put in a container because otherwise they freeze together.